Kimberly Young’s focus on service and integrity provides an excellent home sales experience for her clients. Kim’s experience with real estate dates back to when she was a teenager helping her father manage the rental properties he owned. Kim brings peace of mind to her clients through creative marketing and proactively addressing details of the home sales experience. 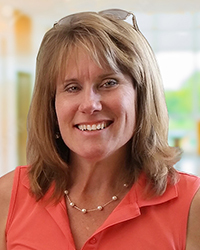 By making an industry leap from educational leadership to real estate, Kimberly found that she can be especially helpful to families as they consider schooling options as one component in the new home purchase. Kim loves life. She is an athlete by nature. Kim plays golf at a high level, runs and plays a variety of other sports. A Disney fan at heart, Kim enjoys the parks and pleasure it brings to her family.